You just never really know what you're going to get with Microsoft these days. You could get a platform or application that exceeds expectations--like the Windows 7 operating system, or Bing, or you could get something that flops so horrifically that you have to wonder what it was thinking--like the Kin, or the Jerry Seinfeld marketing campaign. Sometimes you get both in the same week, as evidenced by Microsoft's Zune strategy as compared with its vision for tablets. On the Zune front, Microsoft revealed that it will offer a Mac version of the Zune software by the end of the year. In a Twitter tweet that was subsequently removed, a Microsoft source stated, "I'm glad to confirm that Mac users would be able to use Zune on their Macs to sync with [Windows Phone 7]." While Apple's iTunes software has been available for the Windows operating system for years, Microsoft has been more stingy with Zune. Of course, it makes sense that Apple would have a much stronger interest in opening its software to the platform that runs more than 90 percent of the desktops out there, while Microsoft could reasonably consider it a waste of time to invest development resources to target the five percent of the desktops running the Mac OS X platform. However, both the Apple iPhone, and the recently unveiled Windows Phone 7 smartphones rely on the respective music and digital content platforms to sync the smartphones with music, photos, and other data. Microsoft is already late to the mobile party and needs every possible advantage it can find to maximize the potential, and improve the odds of Windows Phone 7 success. Allowing Mac OS X users to join in the Windows Phone 7 fun by providing Zune for the Apple OS makes strategic sense. Exemplifying the contrast in strategic vision, though, Microsoft seems intent on pursuing a tablet built on the full Windows 7 OS. Microsoft CEO Steve Ballmer even went so far as to promise that such devices will be available before the end of this year. But, although a tablet is a mobile computing device, the emphasis is on mobile, rather than computing. Trying to take a full Windows 7 desktop experience, and cram it into a touchscreen flat panel demonstrates that Microsoft doesn't yet grasp what the tablet revolution is about. There is a reason that HP appears to be waffling in its devotion to the Windows 7 Slate concept--choosing instead to primarily invest its resources in a tablet based on the WebOS platform it acquired when it purchased Palm. 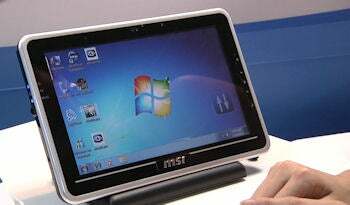 There is a reason that LG abandoned its Windows 7 tablet plans, and is instead focusing on developing a tablet based on the Android mobile OS. The very fact that Microsoft branded its mobile OS as Windows Phone 7 demonstrates its lack of vision and poor mobile strategy. I realize it was trying to escape the Windows Mobile brand and distinguish Windows Phone 7 as a new platform, but mobile computing goes beyond smartphones. Once again, Microsoft gets one thing right, and one thing wrong. Providing Zune for Mac OS X to maximize potential pool of Windows Phone 7 users = good strategy. Stubbornly pursuing a tablet concept that demonstrates a lack of understanding of what users want in a tablet = bad strategy.